1.1.1. The cash-out shall mean the customer’s action where he/she accepts the Operator’s offer: (a) to withdraw a part of the winning or (b) withdraw a part of the stake amount. 1.2.2. The Operator shall be entitled to offer to customers to cash out the stake amount. The particular betting events and bets subject to cash-out shall be determined at the Operator’s discretion in each particular case and marked with special cash-out visual means on the website. 1.2.3. Each cash-out offer placed by the Operator shall state the particular part of the winning or part of the stake amount that may be cashed out by the customer. 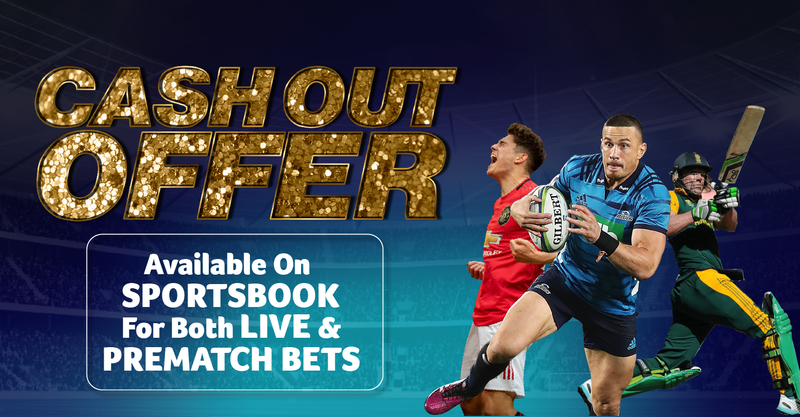 The terms and conditions of the cash-out offer made by the Operator shall vary depending on the course of the betting event, information on the start of the betting event or another factor. Should the customer accept the particular cash-out offer of the Operator, the offer shall be forthwith fulfilled without any changes. 1.2.4. The Operator shall be entitled to put forward partial cash-out offers to the customers. The partial cash-out shall mean a cash-out of the stake amount where only a part of the stake amount chosen by the customer is used for cash-out. The part of the stake amount not chosen by the customer shall be subject to the terms and conditions under which the bet was placed and the partially cashed out amount shall be subject to the provisions of Paragraph 1.2.5. or Paragraph 1.2.6. hereof. 1.2.5. If the customer accepts the Operator’s cash-out offer by withdrawing a part of the winning and the Operator approves such action of the customer, the part of the winning with which the customer agreed by accepting the particular offer of the Operator shall be immediately transferred to the customer account. In this case the customer shall lose the possibility to win the remaining amount of possible winnings under the bet. In this case, a part disbursed to the customer shall at all times be higher than the stake amount of equivalent amount. 1.2.6. If the customer accepts the Operator’s offer to cash out the stake amount by withdrawing a part of the stake amount and the Operator approves such action of the Customer, such part of the stake amount to which the Customer agrees by accepting the particular offer of the Operator shall be immediately transferred to the Customer’s account. In this case, the Customer shall lose the possibility to win the amount that may be won during the particular bet and lose a part of the stake amount. In this case, the part disbursed to the Customer shall at all times be lower than the stake amount. 1.2.7. The bet cash-out offers shall be deemed to constitute a part of the remote betting offers of the Operator and shall not be binding upon the Customers. 1.2.8. A bet cash-out offer shall be deemed to be chosen (accepted) where the Customer clicks on the active reference “Cash-out” near the particular placed bet and confirm that the terms and conditions of the particular offer of the Operator (withdrawn part of the winning, withdrawn stake amount) are acceptable to the Customer. 1.2.9. The Customer shall not be obliged to carry out any other additional actions, except for the actions referred to in Paragraph 1.2.8. hereof. 1.2.10. If the Operator places a bet cash-out offer, it shall be entitled to refuse to confirm the Customer’s choice to take up the proposal. 1.2.11. The Operator shall be entitled to cancel a bet cash-out if (a) the bet cash-out is carried out after the betting event; (b) when putting forward a bet cash-out amount or confirming it the Operator makes a material mistake; (c) the Customer seeks to take advantage of the bet cash-out offers in a bad faith manner. 1.2.12. In the event of taking up a bet cash-out offer, the original odds on the basis of which the bet was placed and the terms and conditions of the bet cash-out offer under which the stake amount was cashed out shall be displayed in the Customer’s betting history. The betting history shall also show the amount transferred by the Operator to the Customer’s account. After 20 minutes of the match Real Madrid was 5 scores ahead and the Customer has received an offer to withdraw a part of possible winning. After 20 minutes of the match Real Madrid was defeated by 5 scores and the Customer has received an offer to withdraw a part of the stake amount. As a rule, a bet cash-out offer withdrawing a part of the winning shall be placed to the Customer when the course of betting is favourable to the Customer, but the final result is not clear yet. As a rule, a bet cash-out offer withdrawing a part of the stake amount shall be placed to the Customer when the course of the betting is favourable to the Operator, but the final result is not clear yet.